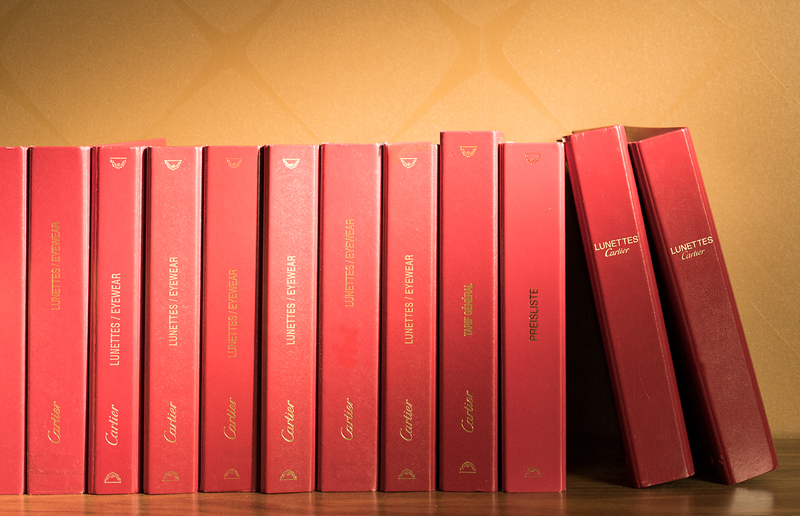 Maison CARTIER has a long, varied and complex history going back to 1847. 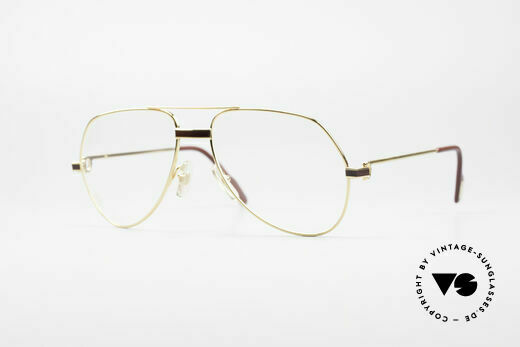 For luxury eyewear fans, the CARTIER story begins in 1983 with the Lunettes CARTIER collection. Here, though, we would like to give a longer account of CARTIER’s impressive history for all lovers of luxury who would like an insight into the facts behind this great name. In 1847, goldsmith Louis-Francois Cartier founded Maison CARTIER in the heart of Paris, just a few steps from the fashionable Palais-Royal neighbourhood. Thanks to his exceptionally elaborate gem-set jewels, he quickly gained a reputation for his fine and delicate craft skills. His circle of clients soon included many renowned figures, and by 1853 he was named as a supplier to the imperial French court. Empress Eugénie, wife of Emperor Napoleon III, was one of Cartier’s leading patrons, but he also received many commissions from Princess Mathilde, the Emperor’s cousin, as well as the couturier Charles Frederick Worth, regarded as the founder of haute couture. In 1874, Alfred Cartier, Louis-Francois’s only son, took over his father’s business, now located on the Boulevard des Italiens, the ‘Oxford Street’ of its day. Over the next years, Alfred’s wife gave birth to their daughter Suzanne and their three sons Louis, Pierre and Jacques. The names of their three sons later came to stand for the three great CARTIER houses. In 1887, at the wish of Princesse d’Essling, a lady-in-waiting at the French court, Louis Cartier produced his very first optical instrument. This magnificent tortoise shell lorgnette set with diamonds made Louis Cartier into a veritable ‘artistic optician’. In 1898, Alfred’s oldest son Louis joined the family business, now known as ‘Alfred Cartier et Fils’. This was the Belle Époque era, a time when Paris was renowned as Europe’s capital of fashion and culture. In 1899, Louis Cartier moved the main branch to Rue de la Paix 13, still home to Maison CARTIER today. From 1898 – 1914, Louis Cartier regularly visited St. Petersburg, the capital of Russia, where he quickly gained a reputation as the very best jeweller. He even become more renowned than Carl Peter Fabergé, whom he much admired. Louis Cartier’s customers included many members of the imperial House of Romanov, the family of the Tsar, and especially Grand Duchess Maria Pavlovna, who commissioned many diadems. In 1902, Cartier founded the London branch in New Burlington Street. Edward VII, possibly the greatest admirer of Maison CARTIER at this time, was crowned in the same year, and reputedly commissioned CARTIER to make no less than 27 diadems for his coronation. In 1906, Louis’s brother Jacques took over the London branch. Three years later he moved to New Bond Street where CARTIER London still is today. In 1909, CARTIER also opened a New York branch at 12 5th Avenue. Since the premises soon proved too small, a solution was found in a special kind of barter arrangement. Pierre Cartier offered banker Morton F. Plant an incredibly beautiful double-strand natural pearl necklace in exchange for the banker’s six-storey building at 5th Avenue/52nd Street. Plant agreed, and in 1917 the company moved to 654 5th Avenue, where CARTIER New York still is today. The first watches from the House of CARTIER were pocket-watches that CARTIER either bought on the antiques market or ordered from the best watchmakers of those days. CARTIER then decorated the watches with gold, diamonds or other gems. Around 1880, CARTIER began to consider the possibilities of wristwatches. This ‘new watch’ only gained acceptance very slowly, but CARTIER, just like watchmakers Patek Philippe and Girard-Perreguax, the inventors of the wristwatch, firmly believed in its future. In 1904, Louis Cartier created the first wristwatch for his famous friend Alberto Santos-Dumont, a Brazilian aviator widely acknowledged as a one of the pioneers of aviation. Cartier developed the wristwatch in response to Santos-Dumont’s comments on the difficulty of checking a pocket-watch while piloting a plane. In 1906, CARTIER introduced the first crown wound wristwatch, a feature still found on CARTIER watches even today. 1909 saw CARTIER patenting a folding buckle (boucle déployante) for wristwatches; the same year the ‘double C’ signature, the new CARTIER logo, was launched. In 1911, Louis Cartier asked his friend Santos-Dumont to allow him to copy his wristwatch for other creations. One year later, CARTIER launched the Baignoire design, and the following year the Tortue. In 1913, CARTIER produced the first Pendule Mystérieuse (‘Mystery Clock’), with the hands of the clock apparently floating in thin air. In 1917, in the middle of the First World War, CARTIER designed its Tank wristwatch, though this was only unveiled for the public in 1919. The Roaring Twenties proved to be a ‘golden age’ for CARTIER. Paris was the acknowledged capital of this new world, and jewellery from the House of CARTIER was more in demand than ever. In 1933, Louis Cartier transferred the responsibility for the Haute Joaillerie fine jewellery to Jeanne Toussaint, his companion for many years and a close friend of Coco Chanel. Over the coming years, Jeanne Toussaint’s many creative ideas decisively influenced Maison CARTIER. In 1942, Louis Cartier died, and Jeanne Toussaint took over the management of Maison CARTIER in the Rue de la Paix. The most famous piece of CARTIER jewellery from the period of the Second World War was the ‘Caged Bird’ (Oiseau en cage) broach symbolising occupied France. At the end of the Second World War, this design could again be admired in the windows of Maison CARTIER in the Rue de la Paix, but with one crucial difference – now the door of the bird’s cage was open. In 1948, Claude, son of Louis Cartier, decided not to take over the main Paris branch. In an exchange of shares, he took control of the New York branch. In 1962, he then sold CARTIER New York to a trust. In this share exchange, Marion, Pierre Cartier’s daughter, was given control of CARTIER Paris. In 1965, Pierre Cartier died and, due to ill health, Marion Cartier was forced to sell the Paris ‘Temple’, the original Maison CARTIER. The CARTIER business was no longer family owned, but divided into three separate companies. Founding "Les Must de Cartier"
In 1972, a group of international investors under Joseph Kanoui acquired control of CARTIER Paris. Two years later, Jean-Jacques Cartier sold the London branch to the group, which went on to acquire CARTIER New York in 1976. 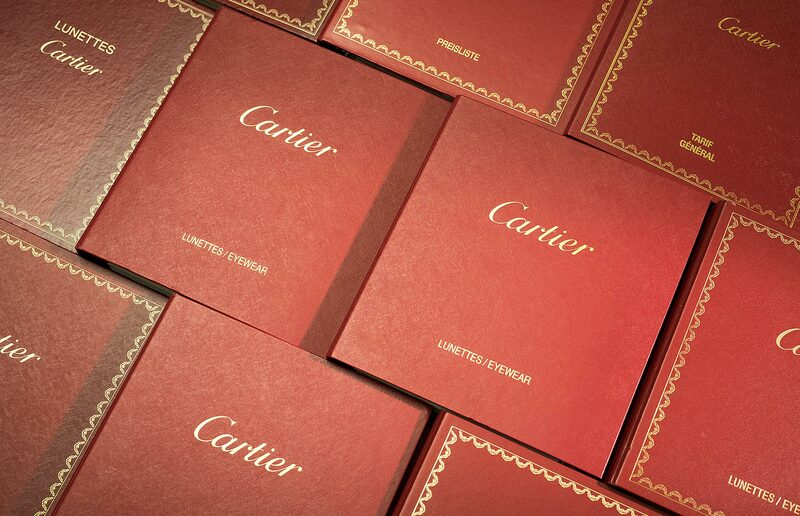 The three CARTIER branches were again united, marking the start of a new era. With lighters and watches proving so successful, Robert Hocq started to look for a product range name able to evoke the Maison CARTIER tradition yet also reflect the new business innovations. Alain Dominique Perrin and his team then developed the "Les Must de Cartier" concept, and this new company was founded in 1973. In just a few years, Les Must de Cartier became one of the best-known luxury brands, with a series of boutique outlets for its range of products. In 1979, Robert Hocq died and Joseph Kanoui was appointed as the president of Cartier Monde. Over the coming years, Cartier Monde acquired business interests in other renowned luxury manufacturers such as, for example, Piaget. In 1993, this group of companies became the Vendome Luxury Group. Since 1997, the Vendome Luxury Group has belonged to the Swiss luxury goods holding company Richemont. Hitting the ground running – the ultimate luxury eyewear brand: Lunettes CARTIER – a fascinating success story! 1973 CARTIER launched the first Les Must de Cartier watches. 1974 CARTIER produced its now famous Bordeaux-colour leather goods. 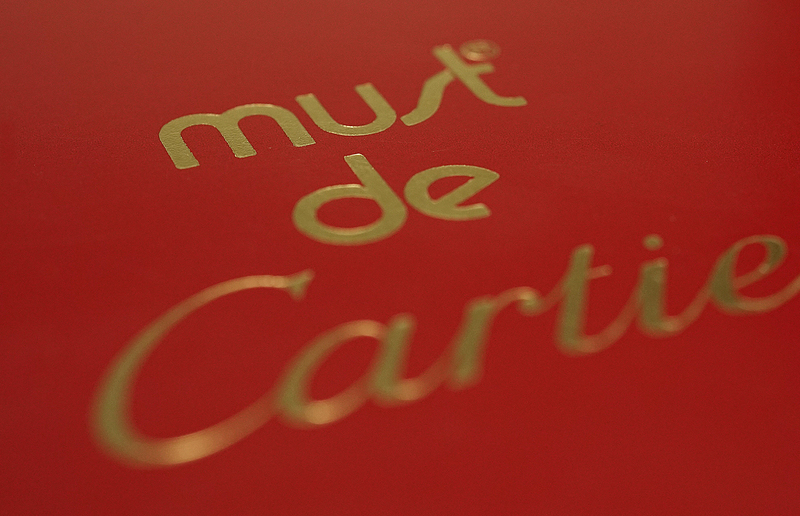 Bordeaux was also adopted as Les Must de Cartier’s signature colour. 1975 The product range was expanded to include CARTIER table clocks. 1976 CARTIER introduced oval-shaped pen cases, also decorated with three interlocking rings, to match the lighters. The Tank Must watch – for the first time, CARTIER produced a Tank design in solid silver-gilt rather than the gold and platinum used before. 1978 CARTIER presented its redesigned Santos watch in the Le Bourget aviation museum. 1980 The ‘S’ line of accessories and Foulard scarves were introduced. 1981 Range of Must and Santos scents for men and women. Unveiling the Vendome Louis Cartier watch. 1983 The Must pen case. This was also the year when Lunettes CARTIER come onto the market. 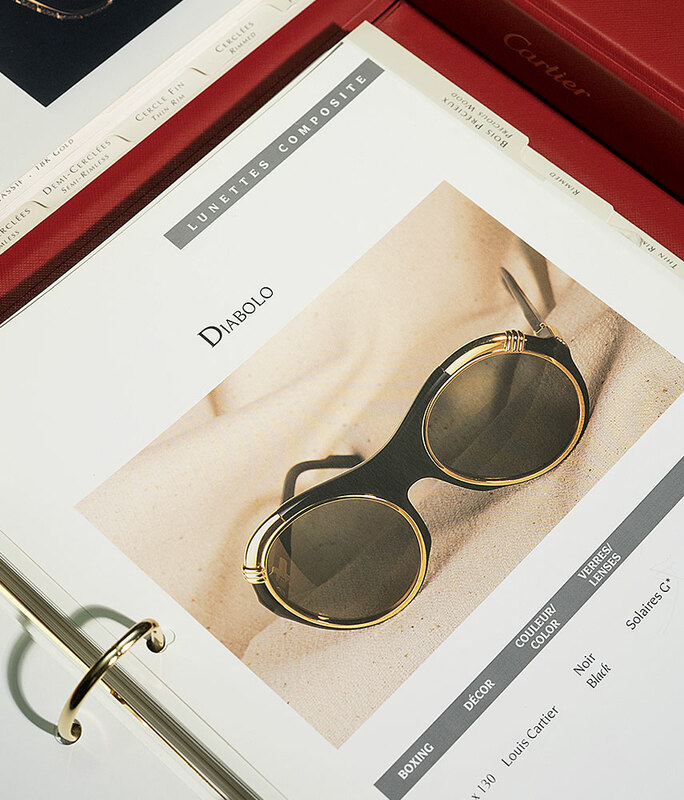 The eyewear quickly gained a profile as one of the leading products in the Les Must de Cartier range. ‘A star is born’ – Lunettes CARTIER presented the first genuine luxury eyewear collection: Must and Vendome models available in the Santos and Louis Cartier styles. 1984 The Haute Joaillerie collection underscored CARTIER’s image as a jeweller in the world of eyewear as well: ‘Jeweller of Kings and King of Jewellers’. 1985 Additional sizes and a new style for Must and Vendome models: the ‘Laque’ design. 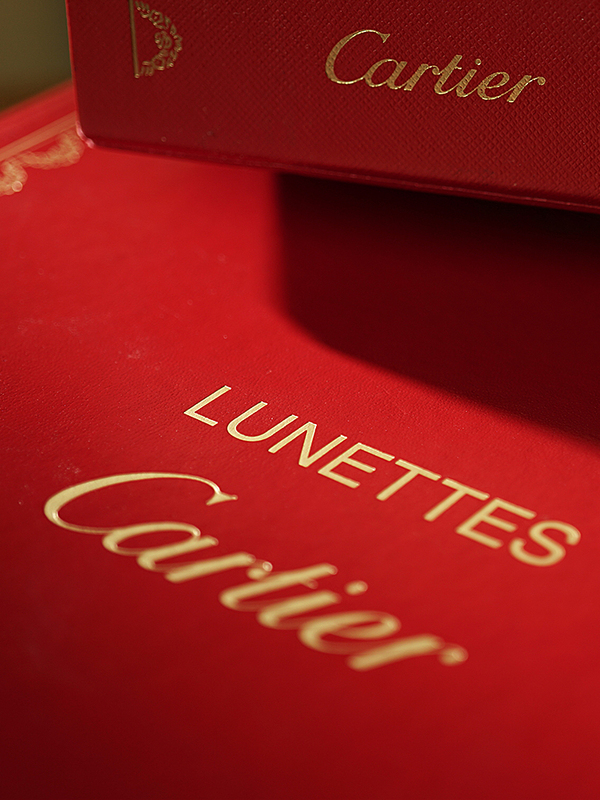 1986 The first Lunette CARTIER especially for women – the Romance model in a Louis Cartier style. 1987 Presenting the first Lunettes CARTIER reading glasses – the Demi-Lune model in the Louis Cartier, Santos and Laque styles. 1988 Two more models were launched: the Tank Louis Cartier for men and the S = Sapphire for women (later supplemented in models with rubies and diamonds). 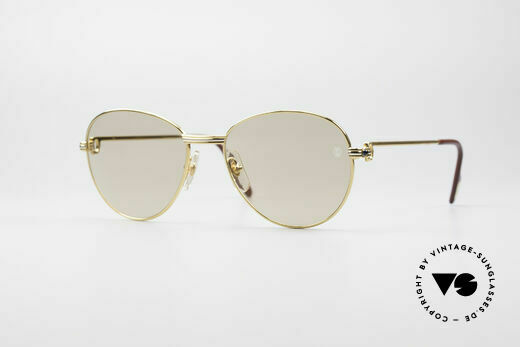 1989 CARTIER’s successful Panthère series of products was supplemented by the Lunettes Panthère model. 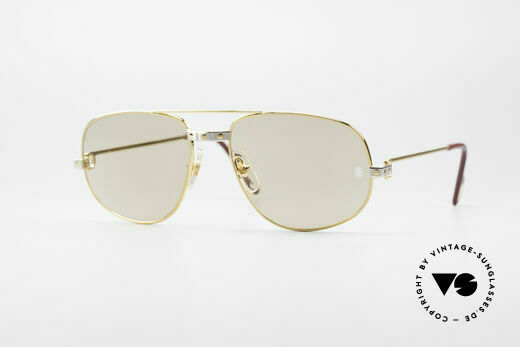 1990 The sunglasses rank among the best known and most successful Les Must de Cartier products around the world. 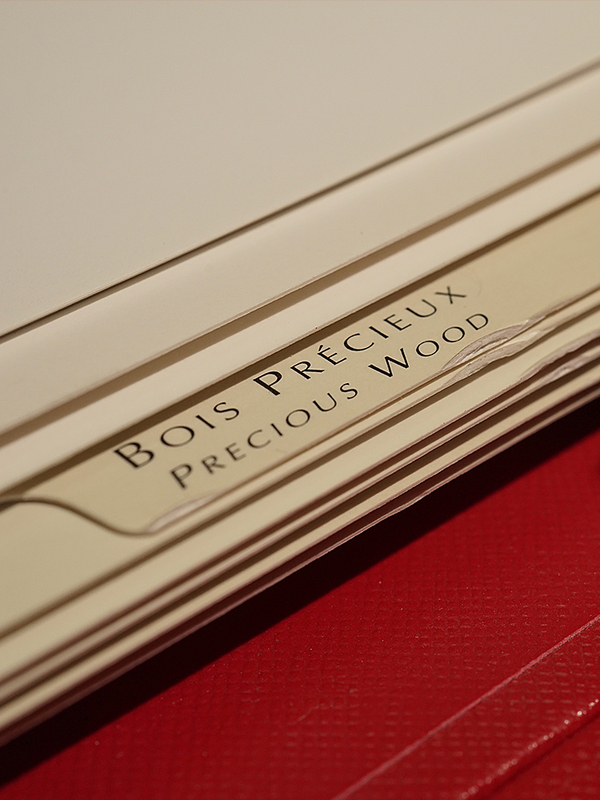 1991 The Bois Précieux collection introduced new exquisite materials and a stronger focus on sunglasses. 1992 Lunettes CARTIER launched its first dedicated sunglasses collection: Composite sous le soleil (the Composite models). 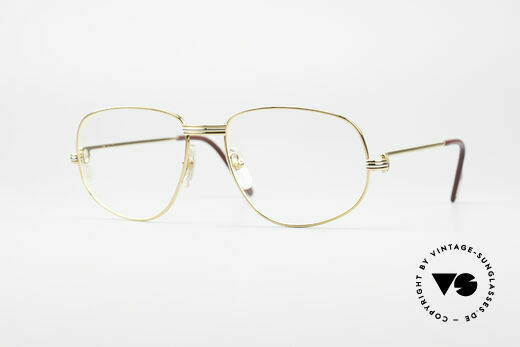 1993 Summer launch of the two Composite models Conquete and Vertigo (in black and gold and blue and platinum), Autumn launch of the second metal generation: a collection of high-quality rimless glasses. 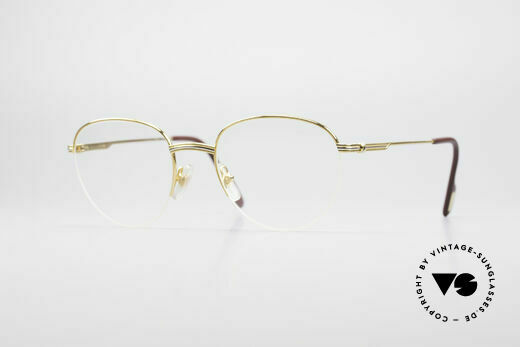 1994 The launch of the Giverny design added another model to the Bois Précieux collection; The Composite models Frisson, Vitesse and Cabriolet appeared in new colours; With the Demi-Cerclés collection, Lunettes CARTIER produced its first semi-rimless glasses. As the history of CARTIER shows, the range of products across the decades was strongly influenced by a variety of events. Among other things, this constant process of change (CARTIER talks of ‘generations’) has led to existence of various myths and half-truths today about the much sought-after vintage CARTIER accessories. 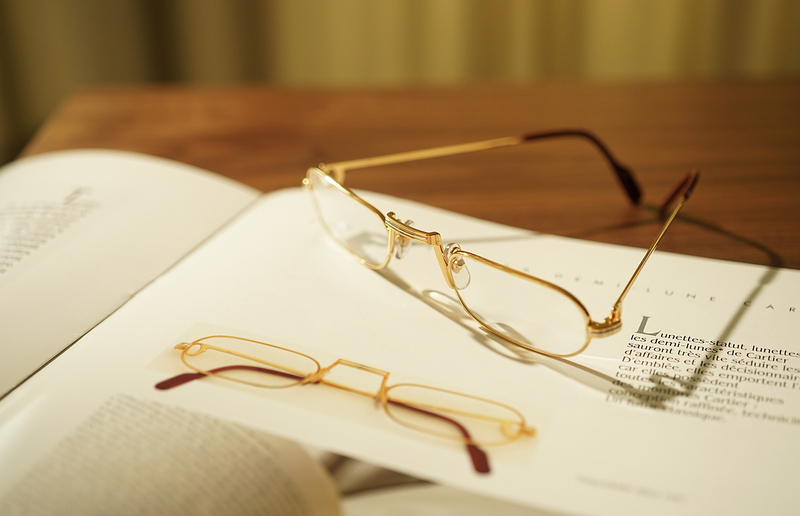 For nearly 15 years now, we have specialised in old Lunettes CARTIER collection glasses. 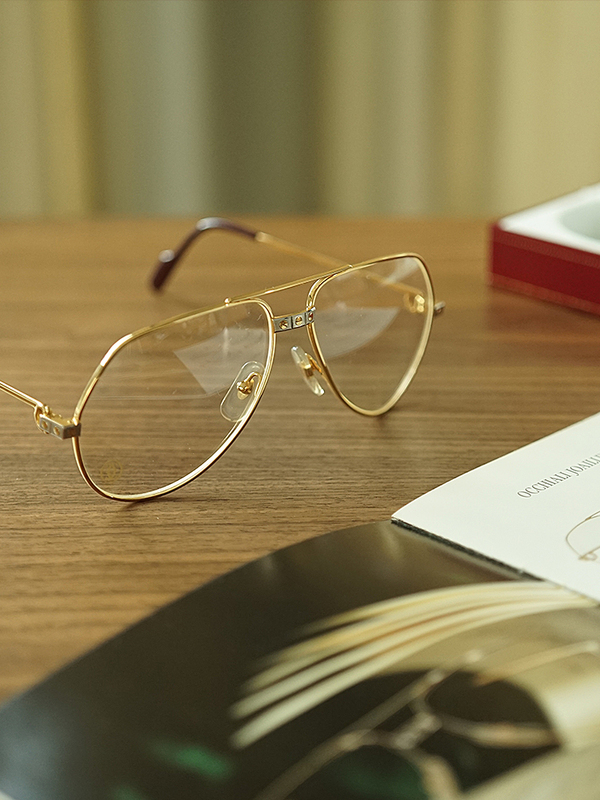 Our expert optician was actually present when the first CARTIER glasses were shown to the public in 1983. Given our insights into this complex area, we’d like to share some of our expertise here to clear up a few of these CARTIER myths. However, since valuable information is so quickly copied these days, we’ve decided just to focus on three selected details of the Lunettes CARTIER collection. 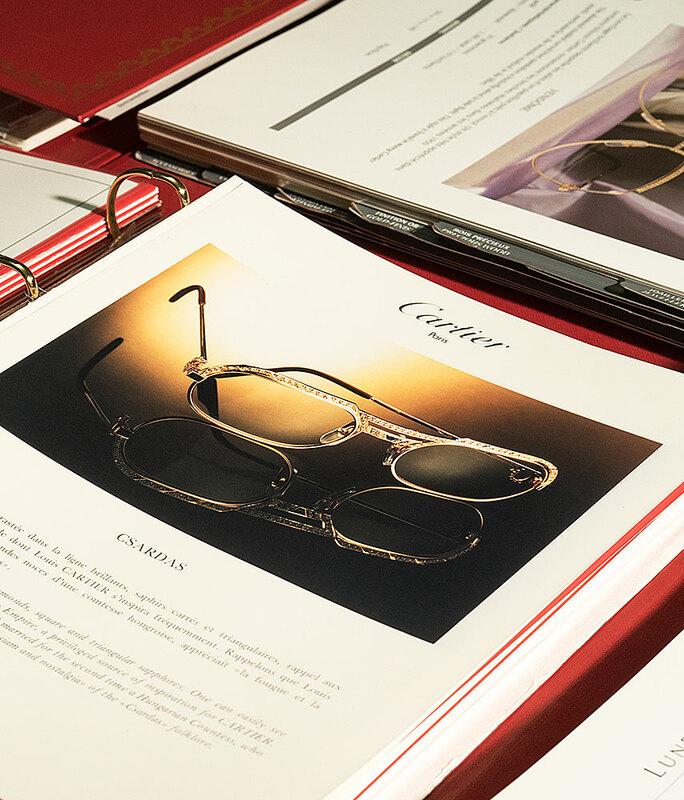 In any case, fans of CARTIER and vintage eyewear have a standing invitation to visit our office and browse our CARTIER library of old catalogues, journals, price lists, internal CARTIER company documents, etc. Which series belong to the Lunettes CARTIER collection and how have they changed? 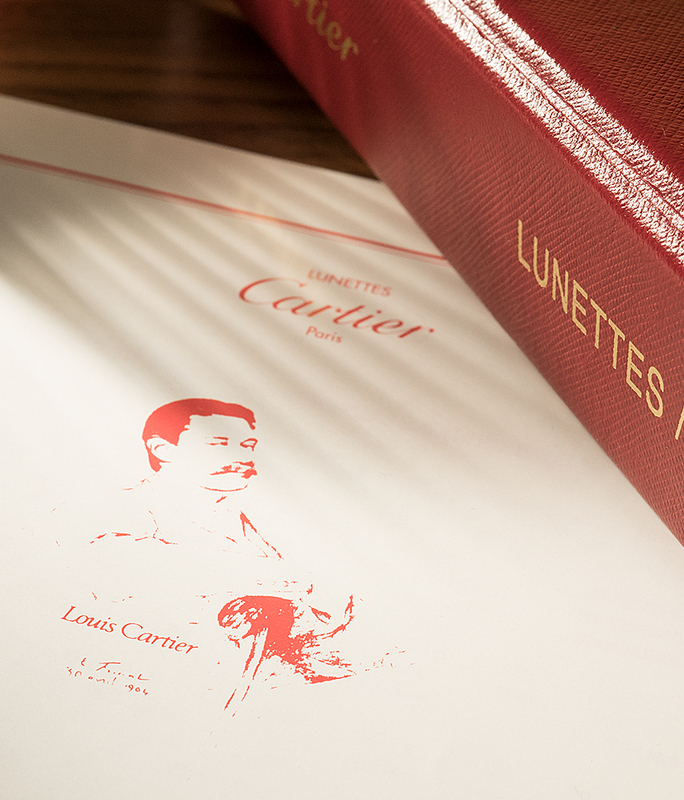 The Lunettes CARTIER collection was launched in 1983 with two models – the Vendome and MUST. The Vendome, as worn for instance by ‘bad guy’ Christopher Walken in the 1985 Bond classic A View to Kill, remains the most sought-after CARTIER glasses. In the film, Walken wore the Vendome Santos sunglasses (the legendary design with three screws). 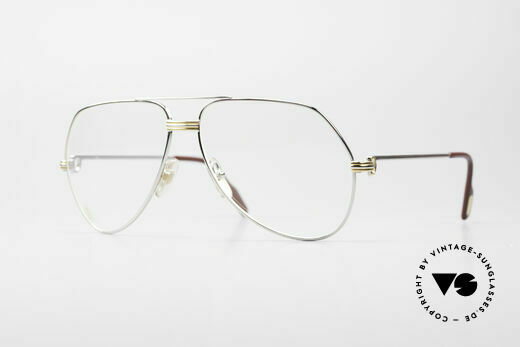 High Jewellery, Jewellery, Solid Gold, Gold Finish, Platinum Finish and Rimmed Eyeglasses. Here, though, we are deliberately leaving to one side the question of how the individual CARTIER collections are distinguished, since this information is simply too precious and provides an invaluable advantage over all other competitors. Nonetheless, as already mentioned, interested CARTIER fans are welcome to visit our offices and browse the old CARTIER catalogues, which we have available in French, English, German and Italian. Are all vintage CARTIER glasses made of 18-carat gold? In many cases, it is impossible to detect the difference between the CARTIER Solid Gold and Gold Finish models on a photo. To detect the difference, you need a degree of expertise and actually have to feel the frames. However, there are Solid Gold collection models which differ in tiny details from those in the Gold Finish collection. Moreover, these sophisticated details can be seen on a photo and are a key point of identification for experts. Do all CARTIER glasses have a series number and year engraved on them? Yes, all CARTIER glasses have an individual series number engraved on them, and each model is additionally assigned an internal CARTIER article number. This number, though, was only intended for company use, serving opticians, for example, as a reference number for orders. So, in the old CARTIER catalogues, each model also has a reference number. And no, not all CARTIER eyewear has a year engraved as well. Originally, the bridge of all CARTIER glasses bore an engraving of the year the model was introduced – for the Vendome models, for instance, 1983. Over the coming years and decades, CARTIER continually expanded its range of eyewear. The Vendome model, for example, was only initially available in two sizes and with either the Louis Cartier or Santos decor. The Laque version was only added in 1985. Moreover, CARTIER also reacted to customer demand and modified some models, or expanded the ranges with different sizes. The small 56mm Vendome, for instance, was only launched much later since, contrary to expectations, women were also interested in what was originally intended solely as a model for men. In addition, as mentioned in our history of Maison CARTIER, the company itself was also in a constant process of change, resulting in internal decisions to optimise production lines or procedures. 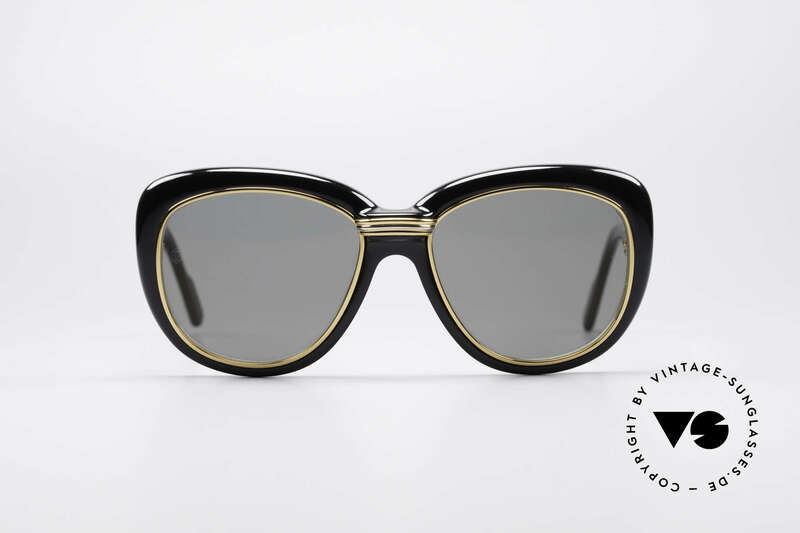 While initially all CARTIER sunglasses had mineral glass lenses with an engraved logo that was clearly visible, later sunglasses had lenses engraved with a CARTIER logo only visible when you breathe on the lens. Some years on (in the early 1990s), CARTIER began using plastic lenses for its sunglasses models. In brief, then, ever since 1983 the Lunettes CARTIER collection has been constantly growing, reacting to internal and external influences, yet has done so without losing its unique and unmistakable character. But precisely for this reason, only very specialised experts can understand and explain the many major and minor differences between individual glasses in the ranges down the years. 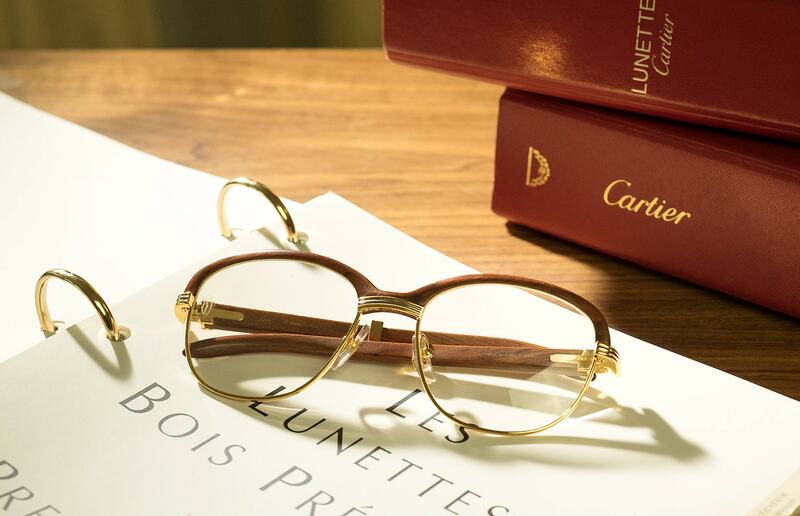 This makes us even prouder that, thanks to our passion for the Lunettes collection, we can preserve one small part of Maison CARTIER’s history. For CARTIER fans and others interested in this fascinating story, it’s well worth regularly checking our descriptions of CARTIER products, since from time to time we also divulge some interesting insider information there too.